Grand Canary – Brasilia – 600 lbs. Bermuda – Game On – 800 lbs. Bermuda – Reelax – 500 lbs. Bermuda – Wound Up – 600 lbs. Bermuda – Wound Up – 700 lbs. Algarve, Portugal – Fermar – 700 lbs. Kona, HI – Sea Genie II – 641 lbs. Kona, HI – Sea Genie II – 585 lbs. Kona, HI – Northern Lights – 513 lbs. Abidjan, Ivory Coast – Remora – 750 lbs. Kona, HI – Maui Jim – 729 lbs. Madeira – Omega – 750 lbs. Kona, HI – Miss Mojo – 688 lbs. Cabo, MX – Cabolero – 650 lbs. Manteo, NC – Haphazard – 550 lbs. Kona, HI – Huntress – 869 lbs. Kona, HI – Rod Bender – 676 lbs. Kona, HI – Maui Jim – 506 lbs. Kona, HI – Northern Lights – 600 lbs. Kona, HI – High Noon – 561 lbs. 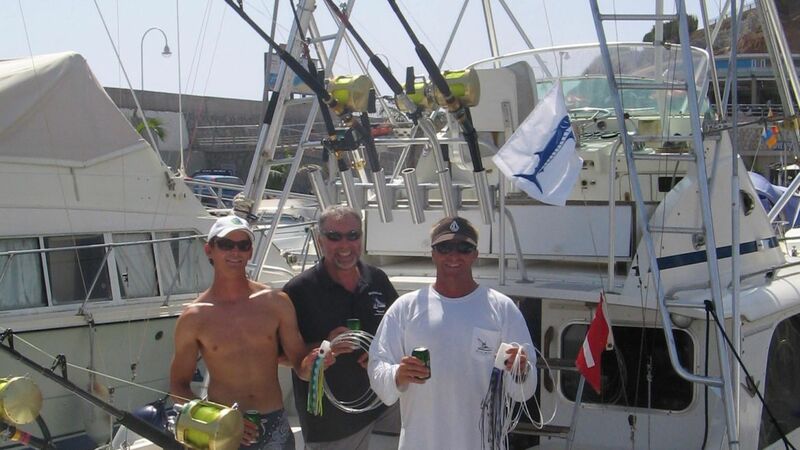 Cape Verde Islands – Amelia – 750 lbs. Bermuda – Sea Toy – 500 lbs. Rum Cay, Bahamas – Jubilee – 650 lbs. Azores – Habitat – 800 lbs. Madeira – Balancal – 850 lbs. Kona, HI – Chiripa – 550 lbs. Kona, HI – Hooked Up – 625 lbs. Algarve, Portugal – Evader – 600 lbs. Algarve, Portugal – Blue Shark – 650 lbs. Algarve, Portugal – Fermar – 590 lbs. Bermuda- Wound Up – 500 lbs. Kona, HI – Playmate – 575 lbs. Bermuda – Challenger – 800 lbs. Bermuda – Challenger – 500 lbs. Bermuda – Queen of Hearts – 560 lbs. Kona, HI – Integrity – 850 lbs. Kona, HI – Marlin Magic II – 800 lbs. Kona, HI – Cherry Pit II – 564 lbs. Kona, HI – Kai Lio – 600 lbs. Ocean City, MD – Osprey – 500 lbs. Algarve, Portugal – Blue Shark – 660 lbs. Algarve, Portugal – Blue Shark – 1,000 lbs. Bermuda – Rameseas – 544 lbs. Cabo, MX – La Hielera – 557 lbs. Kona, HI – Marlin Magic – 540 lbs. Kona, HI – Sea Genie II – 800 lbs. Kona, HI – Marlin Magic I – 750 lbs. Bermuda – Bree – 900 lbs. Bermuda – Bree – 700 lbs. Bermuda – Playmate – 800 lbs. Bermuda – Mattanza – 700 lbs. Bermuda – Mattanza – 600 lbs. Bermuda – Wound Up – 500 lbs. Bermuda – Reel Estate – 929 lbs. Bermuda – Mako – 700 lbs. Kona, HI – Intrepid – 561 lbs. Grand Canary – IBO – 1,000 lbs. Kona, HI – Northern Lights – 550 lbs. Kona, HI – Foxy Lady – 815 lbs. Jupiter, FL – Jubilee – 500 lbs. *Featured Image is from Brasilia, fishing off of Grand Canary Island.